Your employees want feedback. Not only that, they want candid, valuable performance feedback from the people they work with every day – what we call 360 feedback. The problem? Too many organizations rely on old, broken feedback processes, and they aren’t asking the right questions. It’s your job to arm employees with questions to help them uncover the feedback they crave, no matter the situation. 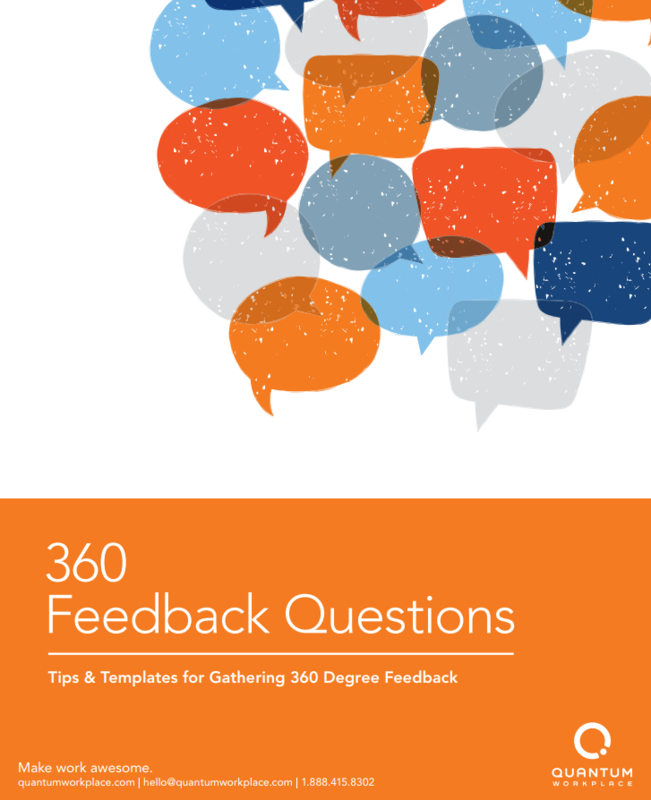 That’s why we’ve provided an ebook with a bank of 360 feedback questions to ask for more meaningful and more accurate employee feedback, broken up into 15 different categories. Question About Best Places To Work?